Bob Pantano is the host of the Saturday Night Dance Party in Philadelphia on 98.1 WOGL FM. This is the first and longest running radio dance party in the nation, now celebrating 40 years. Bob Pantano, a South Philadelphia native, started spinning at the record hops in the late 1960s and then the nightclubs in the '70s. His professional radio career began on WCAM in Camden, NJ in 1971. Bob pioneered the live-radio broadcast, The Saturday Night Dance Party, in 1977, which airs every Saturday night live from 7:00 p.m. to 2:00 a.m. and has enthralled and entertained Philadelphia audiences with its upbeat dance music. Bob's entertaining and engaging banter have kept the crowds returning year after year, building a captive and loyal audience. Over the past 40 years, his Live Radio Dance Party has been broadcast from various hotels, nightclubs, and casinos. Hundreds of thousands of Delaware Valley residents have met, danced and even fallen in love to that special mix of music that Bob Pantano's Saturday Night Dance Party is so well known for. Bob's knack for playing the best record hop tunes of the '60s along with the dance club classics of the '70s & '80s has made him a celebrity in the Delaware Valley. Bob is the host of The Vendemmia Festival in South Philadelphia. Bob keeps the concert circuit hopping with his well-known "Sounds of Philly Show" which features some of the best local and national recording artists. 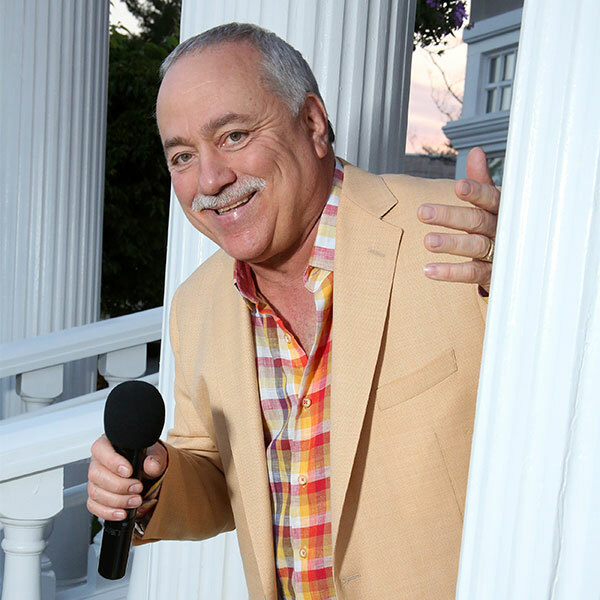 Bob has hosted shows at the Wachovia Center, Trump Plaza, Wildwood Convention Center, Penn's Landing, summer concerts in the Philadelphia and South Jersey parks, Harrah's Atlantic City, Resorts Casino Hotel, and numerous corporate functions and charitable events. Bob hosts an annual radiothon on his Saturday Night Dance Party benefiting Children's Hospital of Philadelphia. Bob, who is an honorary Deputy Police Commissioner, is the MC of the Hero Plaque Program in Philadelphia, which commemorates the heroism of Philadelphia Police officers who gave their lives serving in the line of duty. He has also been the MC for the annual Hero Thrill Show benefiting the families of our fallen heroes (Police and Fireman families). Bob is involved with Church of the Holy Family, Washington Twp. NJ (where he hosts the annual Primavera Festival, plus numerous other charitable events. In 2007 Bob was inducted into the Temple University School of Communications and Theater Hall of Fame and received a sidewalk plaque on the Wildwood Avenue of the Stars. On June 25th, 2014, Bob was honored with The Phillies' Gamble & Huff Community Partnership Award during the 11th annual Phillies African American Heritage Celebration presented by The Sound of Philadelphia at Citizens Bank Park. On November 20th, 2015 Bob was honored as the Broadcast Pioneers' 2015 Person of The Year. On March 4th, 2017, Bob celebrated 40 years hosting the Saturday Night Dance Party. From Bob's days of spinning records at the hops in the late 1960s, to his move into the nightclubs in the '70s, to bringing those nostalgic moments back to packed audiences today, his highly-acclaimed reputation in radio, television, and area concerts is unsurpassed in the region, making him a celebrated Philly success!